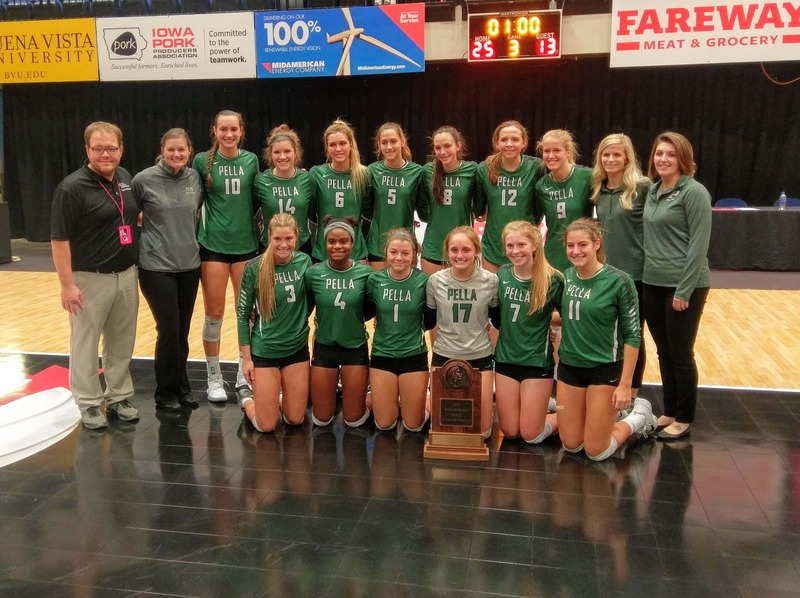 The Pella Lady Dutch volleyball team, despite a big near-comeback in set two, came up short in a sweep (25-18, 28-26, 25-13) by Xavier in the first round of the Class 4A State Tournament, as heard live on 92.1 KRLS. Pella competed hard at the start of all three sets, taking early leads in each, but the Saints’ tough defense and long hitters wore down the Lady Dutch. Head Coach Catie Brand tells KRLS Sports it was a competitive night for the girls, but they couldn’t find the key points they needed in pivotal moments. Pella Senior Emily Holterhaus finished her career with a 14 kill night, giving her 1788 over her four seasons, with each year ending in Cedar Rapids. Natalie Clayberg added 7 kills in her 4th state tournament starting, and Jenna Schulte finished with seven blocks–three solo. The Lady Dutch end at 31-7 and in the top eight of class 4A for the 4th straight season.